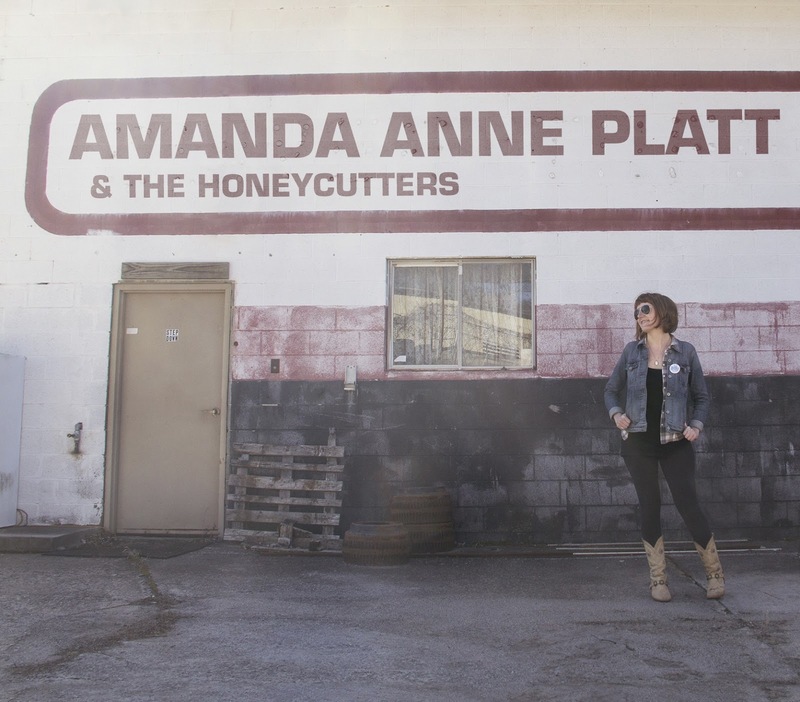 The reasoning behind self-titled albums can be somewhat vague, but this is certainly not the case with the new record by Amanda Anne Platt & the Honeycutters. It is born from a decision for Amanda to step out of the shadows and be more of a focus for the music of a band that has been gathering momentum over the last couple of years. It is also a case of a fertile period for the band with records seeing the light of day in 2015, 2016 and now 2017. This follows a steady start to a recording career that stretches back nearly a decade. Whether the re-branding is deemed successful can wait for a later day, but on the evidence of the new album’s thirteen tracks, the sound is right on the mark. The Honeycutters accrued praise for their smart ability to execute a deep-rooted country sound in songs framed for their simplicity. This, of course aligned with their indie status, meant an audience tended to be sourced from the Americana and contemporary folk communities. However, decent press coverage followed and much of the same is expected for the new album. One of the most highly valued traits of the record is Amanda’s sincere and poignant approach to song writing. Free of waxed lyrical pretentions, this collection of transparent songs perfectly captures multiple facets of everyday life, albeit from a deeply thought perspective. These range from a curious look at life through the work-in-progress aging process to more reflective moments as time draws to a close. ‘Birthday Song’ resides in the former’s camp and and its autobiographical content reaches an uplifting conclusion especially in the line ‘I must have done something right ‘cos I’m still so damn glad to be here’. This track opens the album and is one of half a dozen songs that make early pitches for the standout moment. ‘Learning How to Love Him’ is another candidate and is an end of life theme, gladly not autobiographical though but a real life scenario that had a song itching to be written. As you would expect from a traditionally biased country record, pedal steel is widely prevalent and no better utilised than on another positive song ‘What We’ve Got’. In fact, Amanda’s writing frequently flies in the face of sad song convention, often focussing on the precious things rather than those moments of heartbreak. ‘Diamonds in the Rough’ is the prime example of this by championing the inner desires of everyday folk. A neat piece of keyboard work here provides a decent complement to the extensive general use of steel. Further resolute positivity reigns in the mini epic ‘Eden’: a classic example of country music storytelling, recounting life at its most sparse and basic, whilst lauding the beloved heartland. The album was recorded in Amanda’s home state of North Carolina, surrounded by a tight team of four players plus co-producer Tim Surrett adding harmony vocals to a couple of tracks. For the third straight release, Organic Records is the home for a Honeycutters record and in accordance with Amanda putting her name very much at the forefront of this project, all the songs are solo written. So often a resourceful route of great song writing in my opinion. Several early listens of this fifty-four minute album for review purposes are probably insufficient to fully grasp every crevice of each song. One safe prediction though is that this won’t be filed away so easily and its accessibility will fill those quieter moments if the inflow of new music ever slows. A further trio of tracks which help give a flavour of this record begins with the appropriately titled ‘Brand New Start’ and is instantly followed in the running order with a fine piece of seasonal analogy in ‘Late Summer’s Child’. Perhaps strengthening the album in its latter stages is another song proclaiming the overarching theme of simplicity in ‘The Things We Call Home’. 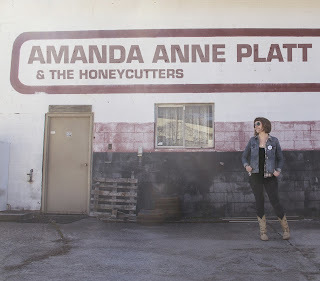 As eponymous records go, the “debut” by Amanda Anne Platt & the Honeycutters is a strong effort and set to maintain the momentum that has been building for the band’s music. While the digital world tends to ensure cross Atlantic releases are synchronised, there is a formal lag here with the UK getting an official August launch following its general June availability via the wires. This is probably to coincide with a planned tour that will give folks the opportunity to hear the new tunes live alongside many favourites from the Honeycutters growing back catalogue. Whether you are already on their bandwagon or a willing new recruit, the wares of the new record are eagerly awaiting many joyous listens, while offering further proof that grassroots country music is in rude health.